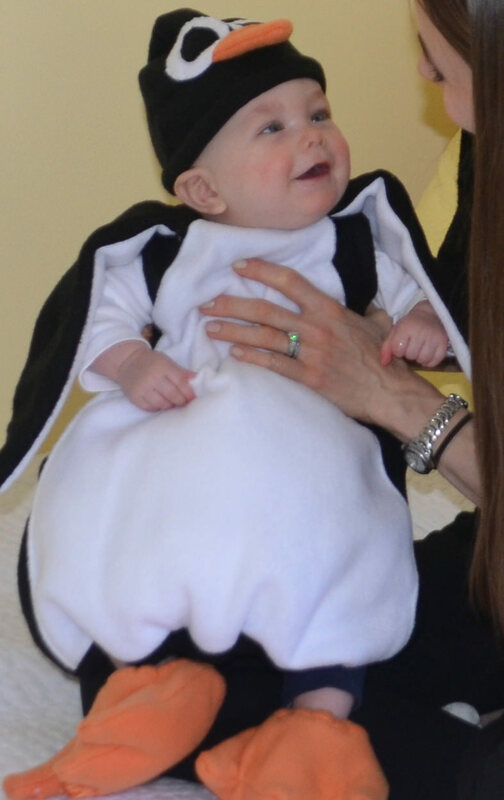 Happy Halloween and Happy 5 months to our little penguin. I hope everyone is as excited as I am that the holiday season is officially starting! 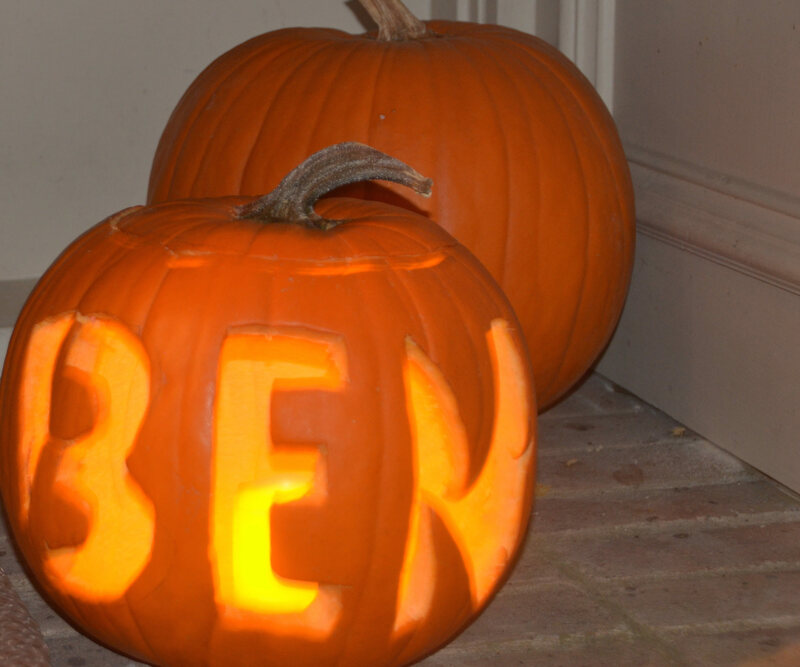 This year, I decided to throw a little pumpkin carving soiree. It gave me an excuse to make TONS of pumpkin themed recipes that I’ve been trying to perfect this month. Here is what I prepared for the party. As usual, I went overboard on the desserts. 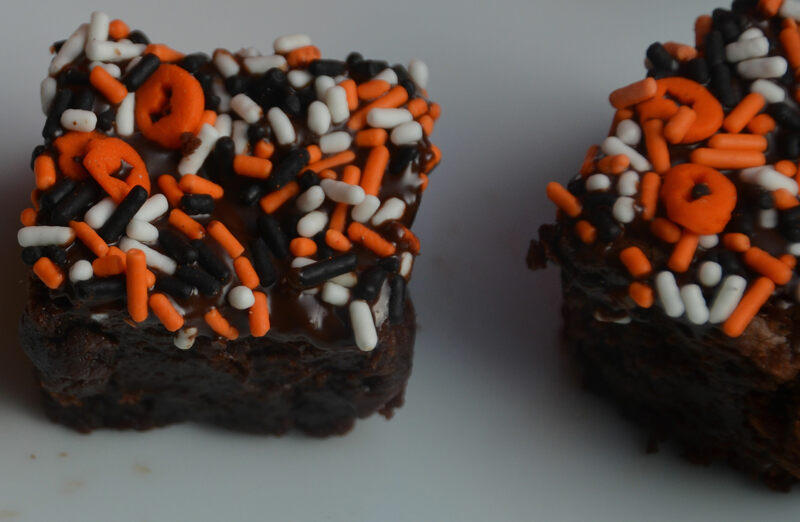 Warning: this menu has far too many sweet options – I normally try to balance the sweet and savory dishes, but most Halloween themed recipes seemed to have sugar in them. I started with chips and pre-made guacamole. This was a last minute addition. 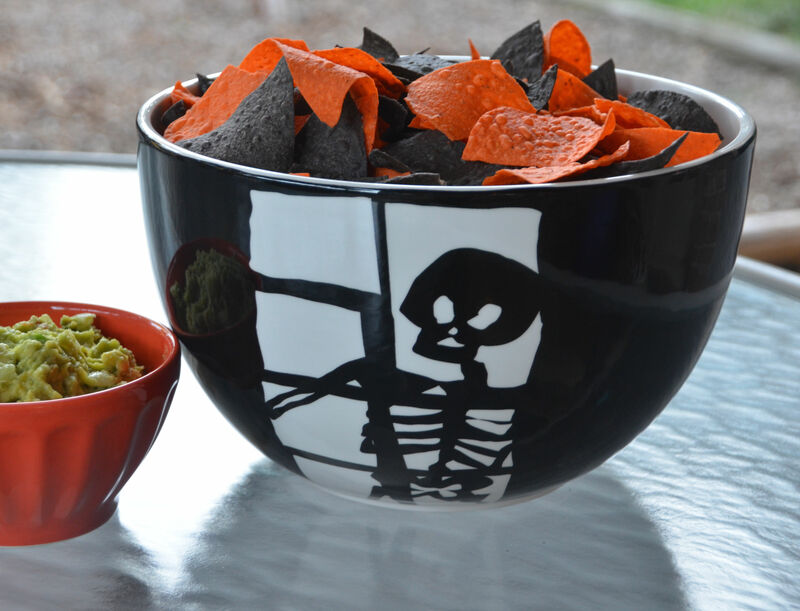 I was desperate for a non-sweet starter (plus I wanted to serve these orange and black chips in my skull bowl). 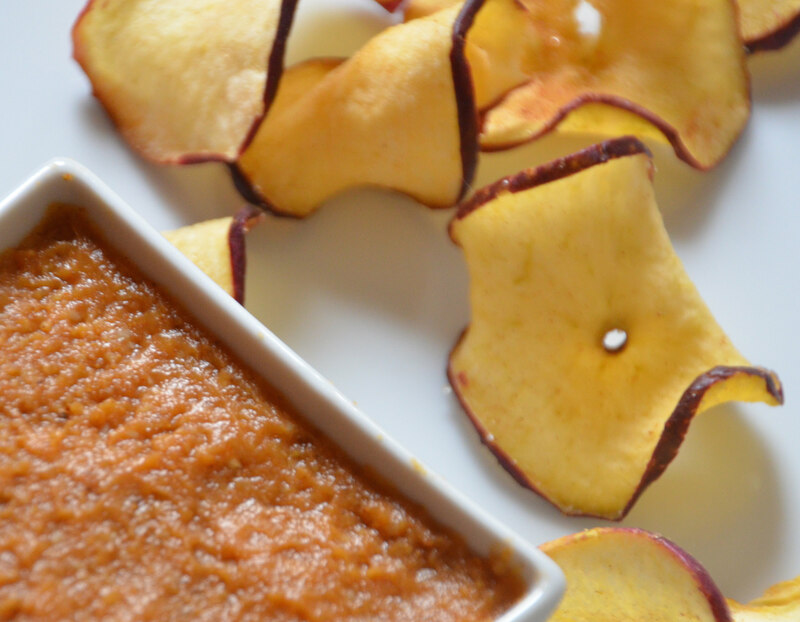 I personally think this pumpkin hummus is yummy, but next time I’ll save it for my fam. I think it didn’t stand a chance next to the guac. Everyone loved these gingered nuts. 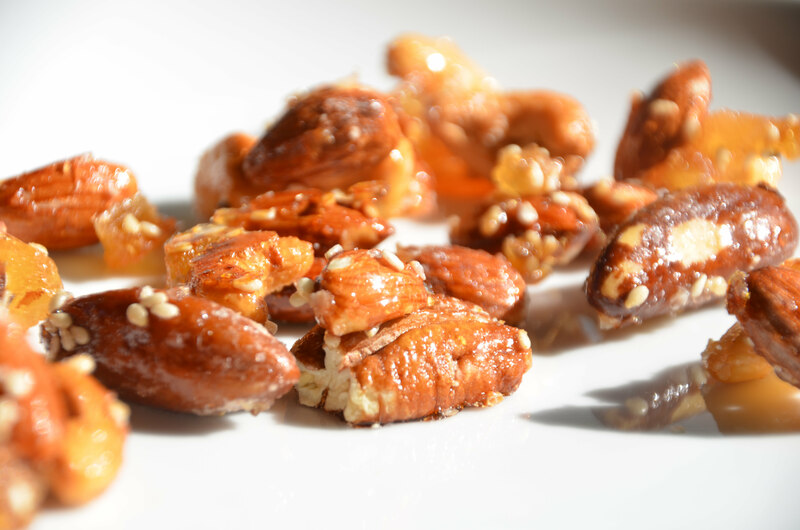 They were made with Central Market’s “fancy unsalted mixed nuts,” candied ginger, a little cayenne and more sugar, of course. 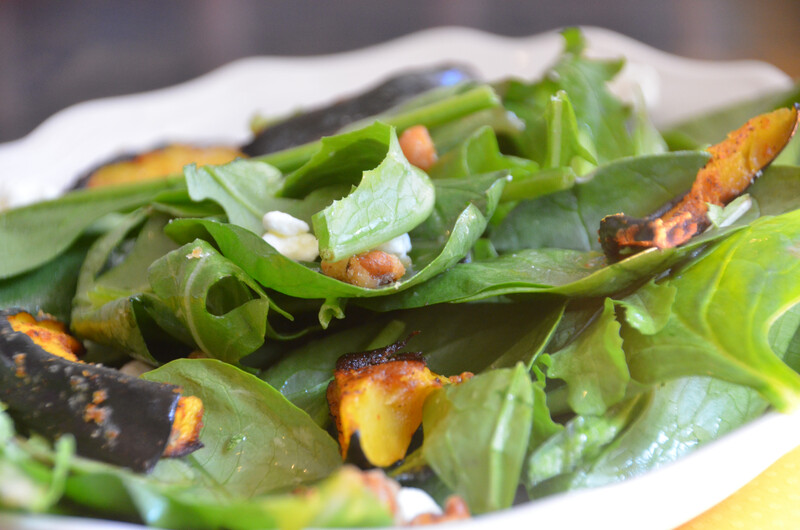 I slightly altered Emeril Lagasse’s Roasted Acorn Squash Salad Recipe. This was devoured. Once again, my favorite website, America’s Test Kitchen, saved me with their Slow Cooker Turkey Chili recipe. I had tested several other recipes getting ready for this shindig, and all other turkey chili dishes were either bland or dry or both – yuck. 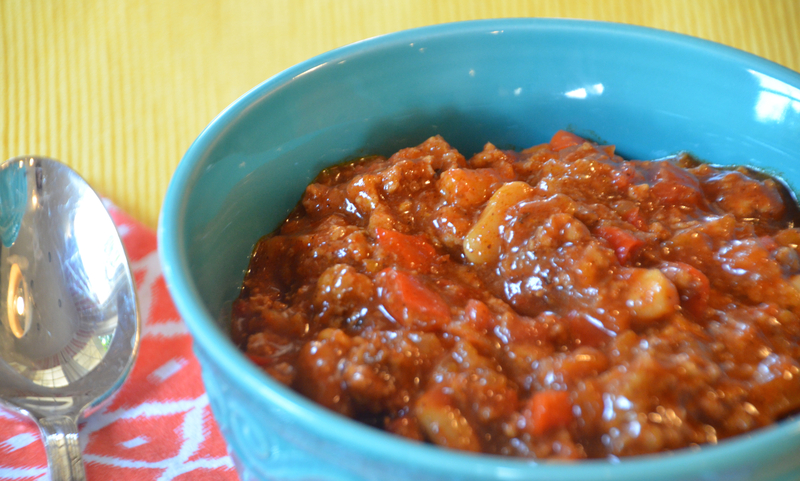 This turkey chili is meaty with intense flavor, but not too spicy for the masses. So thrilled to have found this delish slow cooker recipe. 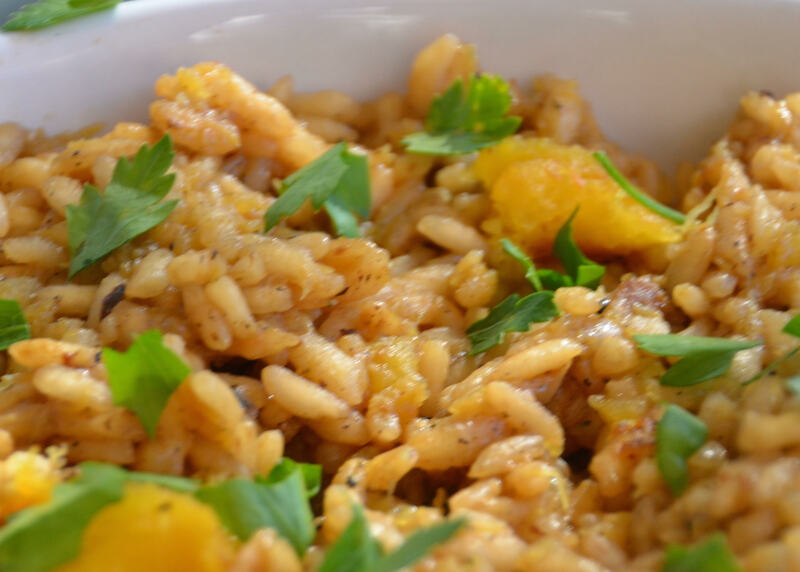 This butternut squash risotto is good, but next time I will try a new recipe as this wasn’t too memorable. Also, I think it’s best to only make risotto for occasions when it can be served moments after it is made. Now for the desserts. These chocolate dipped brownie bites from Skinnytaste.com are very easy to make. If Benjamin likes chocolate, I have a feeling I’ll be making these a lot in the years to come! 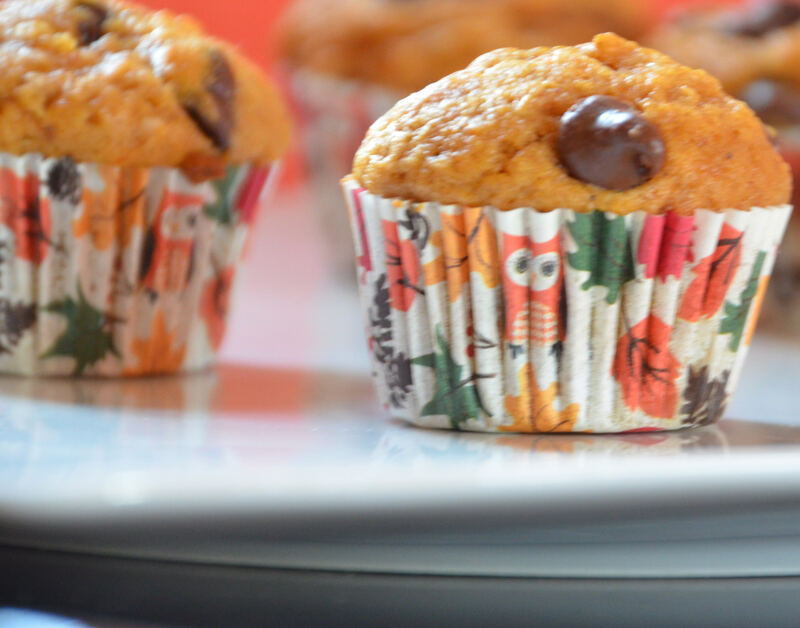 I found this recipe in The Garden Club of Houston’s Cookbook “Seasonal Favorites.” Sara Ledbetter has been throwing a pumpkin carving party for years, and she always makes these pumpkin chocolate chip muffins. I had tried these out beforehand, and even a few of Warren’s skeptical non-pumpkin loving co-workers seemed to dig these. 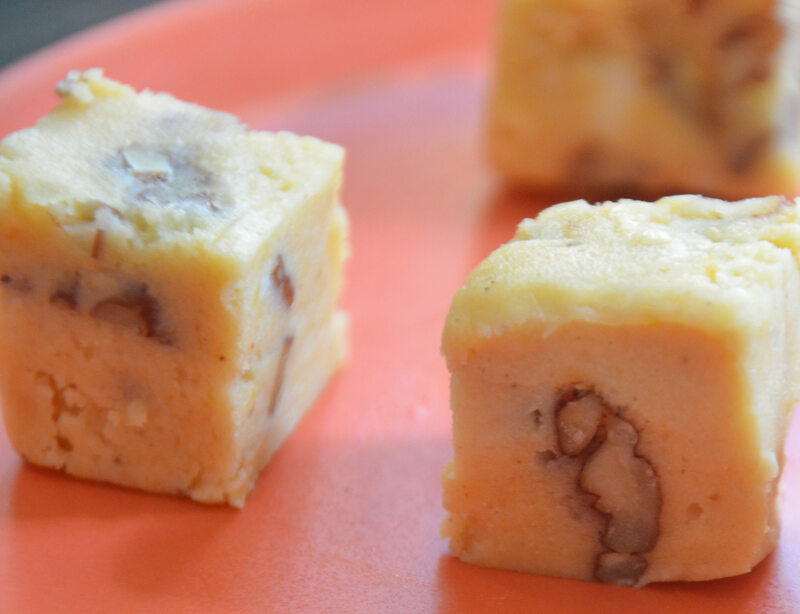 This pumpkin fudge from Southern Living’s website is divine as well. It melts in your mouth. It is pretty darn sweet, so those not so keen on sugar might not like this one (I bet Chris Kimball – America’s Test Kitchen founder – wouldn’t approve). 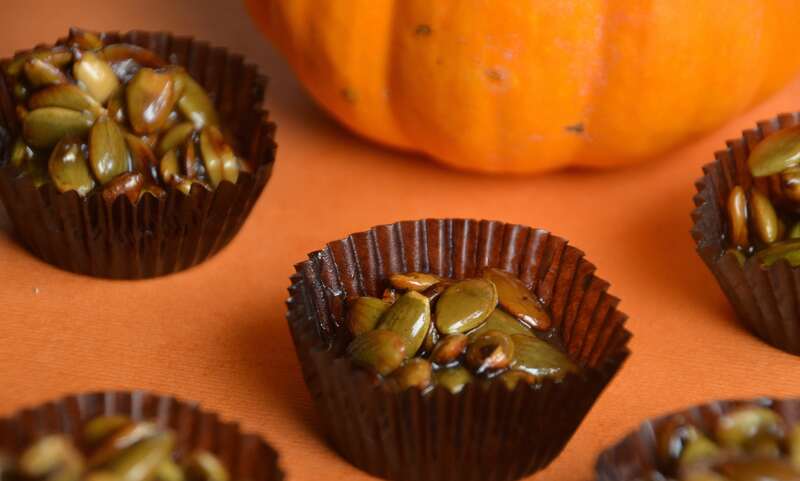 While this pumpkin seed candy isn’t a looker, it is also pretty great. It might have been a tad too similar to the gingered nuts, but no one really seemed to mind. We all had a blast trying to remember how to carve pumpkins. It is a miracle that no one cut themselves. Note for next time: wine + Martha Stewart’s intense pumpkin carving tool recommendations = recipe for disaster.